The theme comes with a full featured theme customizer that allows you to take control of the look of your site and see your changes in real time before committing them to your live site. The theme Customizer allows you to live preview changes you make to your theme. You can play around all you like without modifying your live site. And when you’ve made your changes, simply click Save and everything is applied instantly. This section will cover the various settings included in the customizer. To access the customizer, go to Appearance > Customize. Manage a regular logo favicon and a site loader. Logo – Alignment, margins, default, retina, sticky header and mobile logo options. Favicon – Regular favicon options. 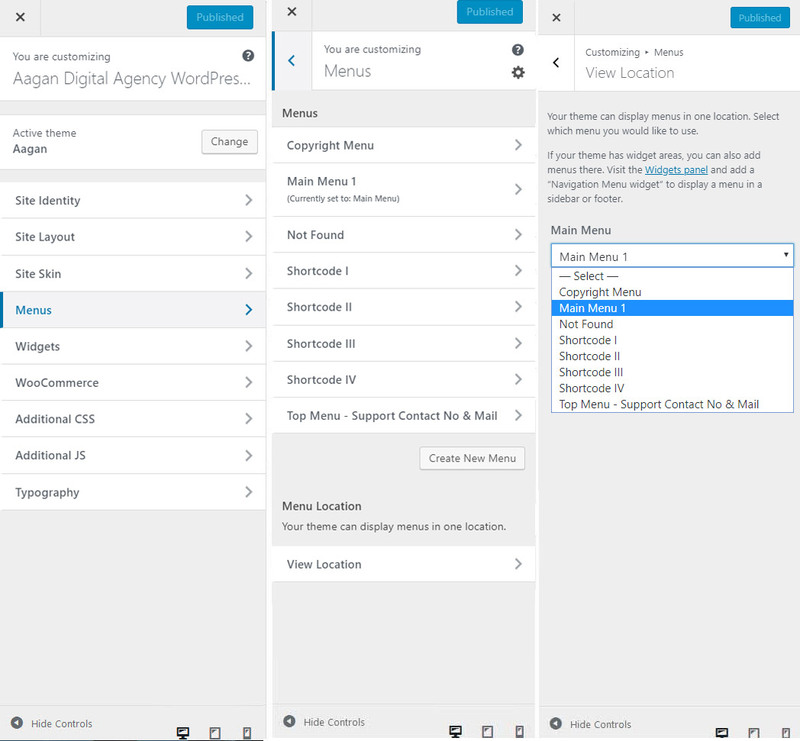 menu link and dropdown menu in the main navigation. Main Menu or Sub Menu. Dropdown Style, then set the display to your liking. To customize the slider widget with available widgets. 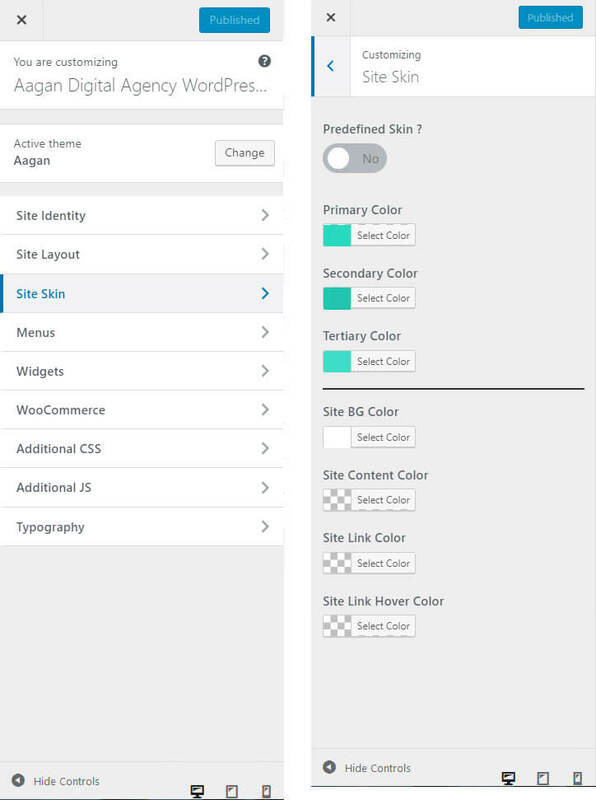 A WordPress Widget is a small block that performs a unique function. Widgets can then be added to widget-ready areas of the theme called widget sections. 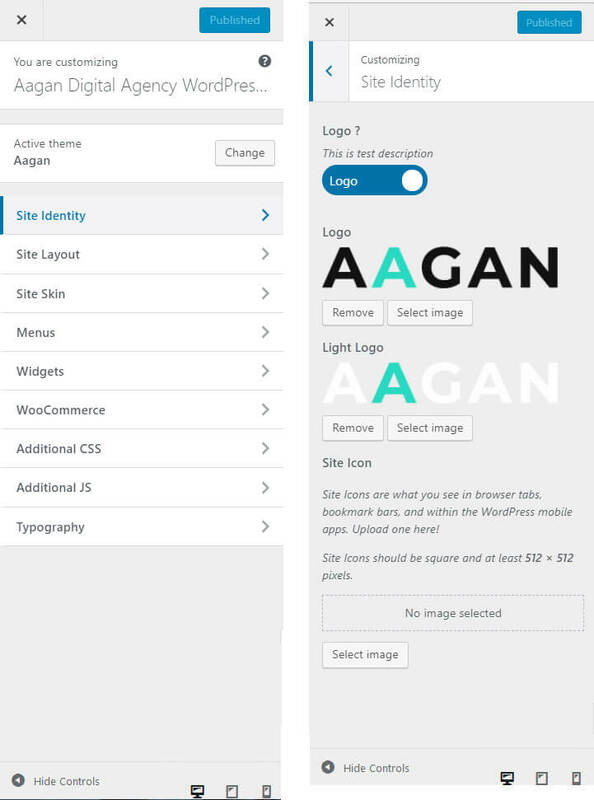 Aagan has some pre-made widget sections and also allows you to create an unlimited amount of custom widget sections. Add any custom CSS code here. 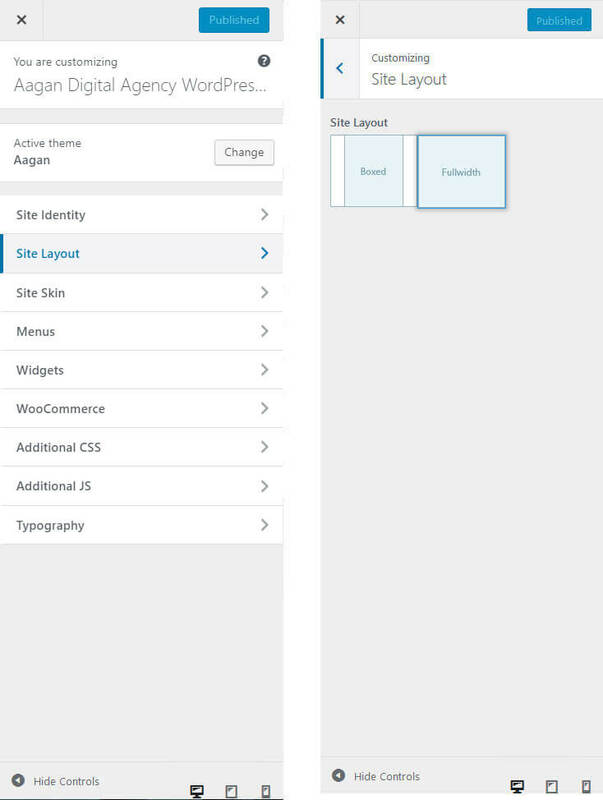 This allows you much more granular control over the style of the theme. 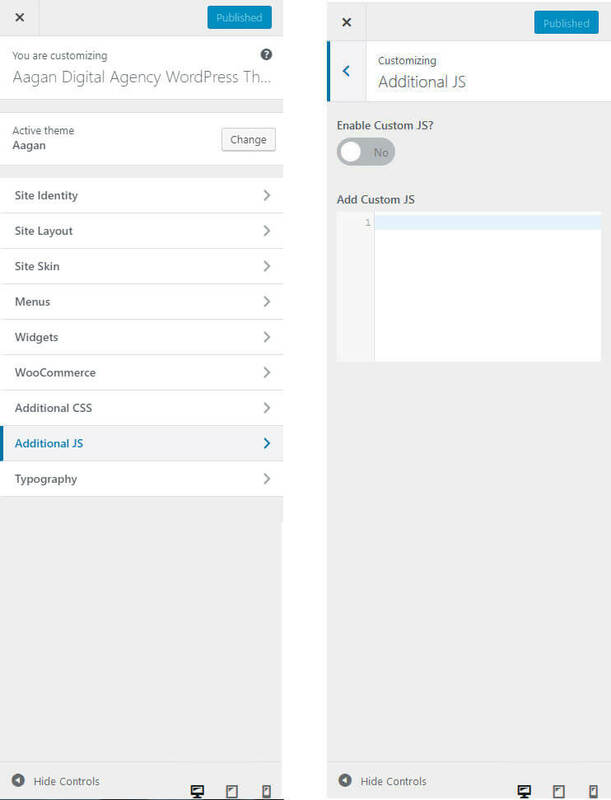 Simply go to Appearance > Customize > Additional JS and paste your custom JS. your header, then you’ll find all the options you’ll need under the header tab in Theme Options. 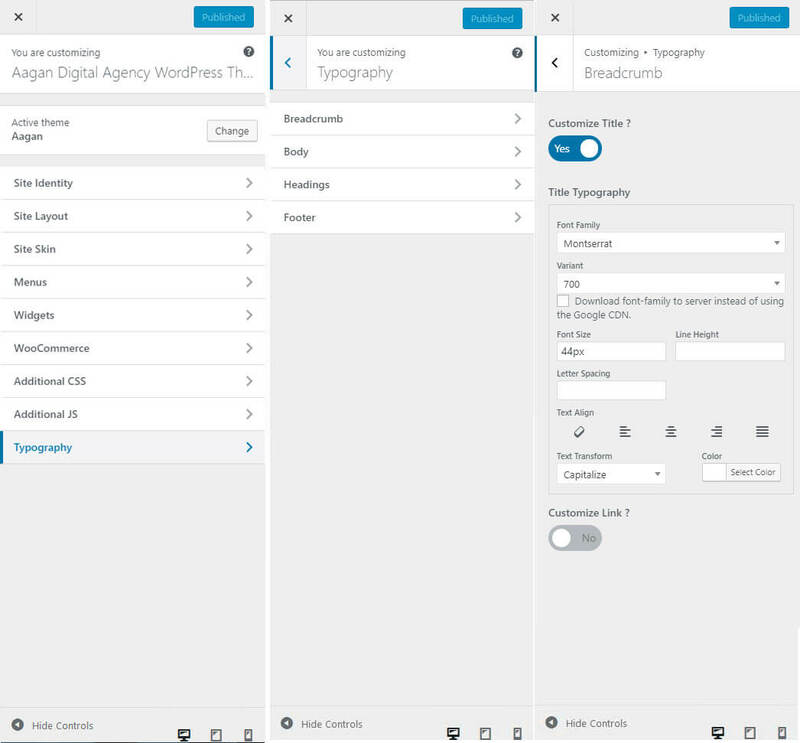 Continue reading below to learn more about the new typography options. weight, size, etc. are found. Typography options such as font family, weight, size, etc. are found. 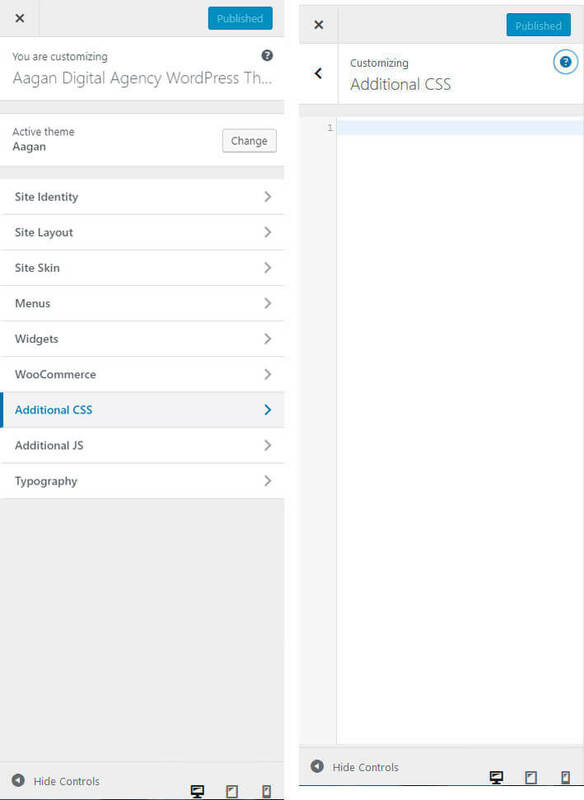 Footer panel, then customize the Footer Title and Footer Content Typography section.